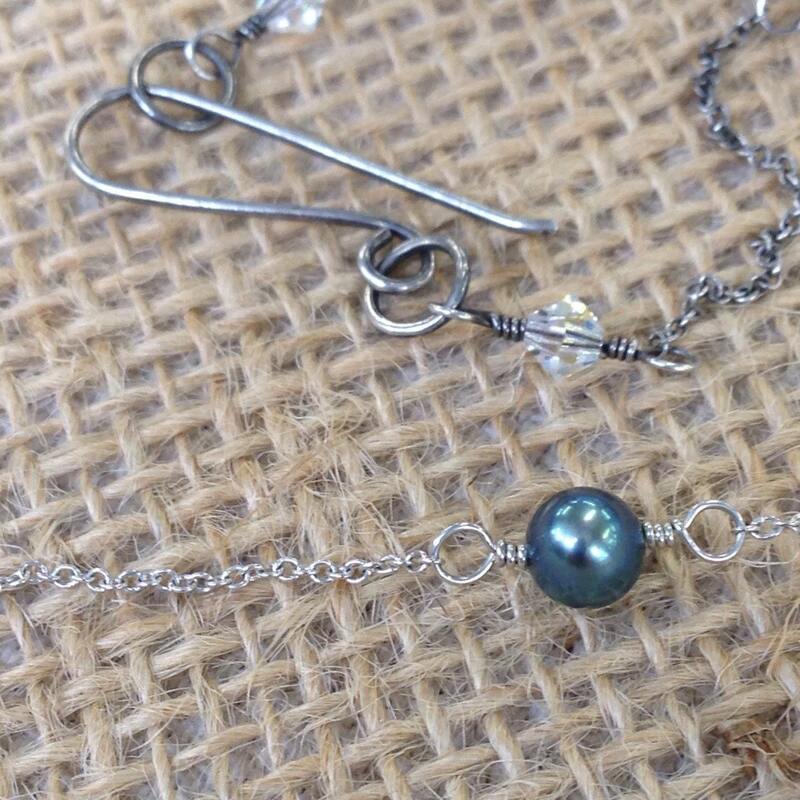 Blue gray pearl stations wire-wrapped onto very fine bright sterling chain, contrasting with clear Swarovski crystals with an aurora borealis finish on oxidized sterling chain. 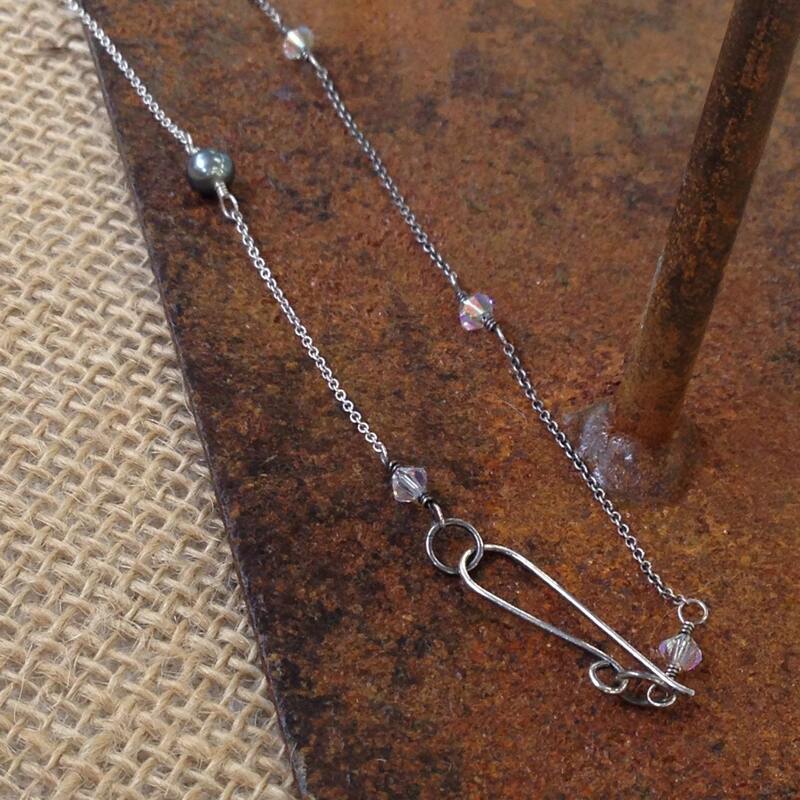 The long, curvy hook and eye clasp is also oxidized and nestled into the dark side. 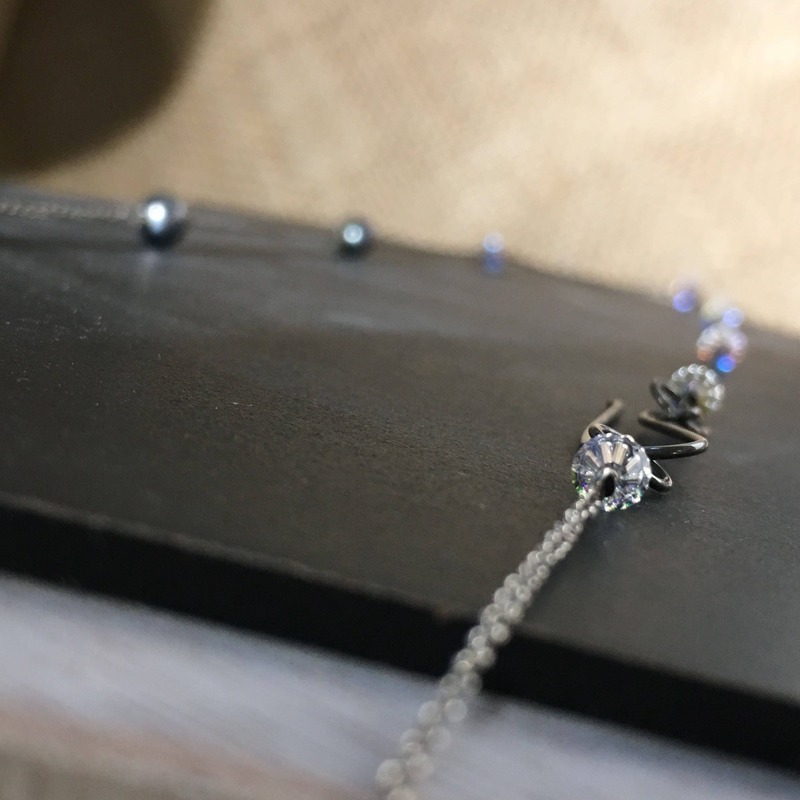 Wear it with the clasp at the back of the neck to give equal time to both themes, or wear it to the side so that the dark side curves around the back of the neck....lovely with short hair. 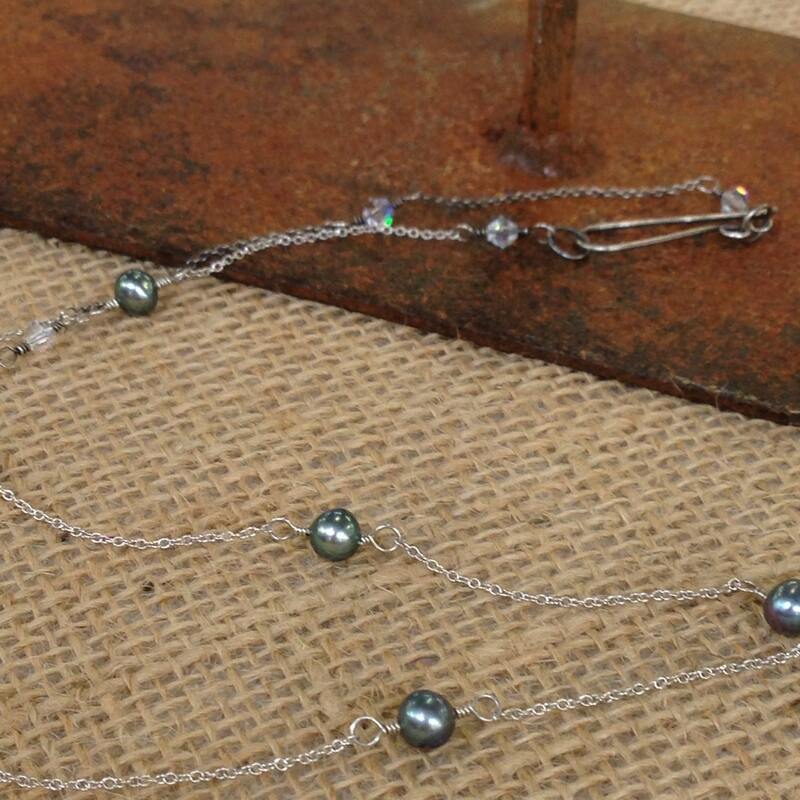 The pearls are 5mm in diameter, while the crystals are slightly smaller at 4mm. 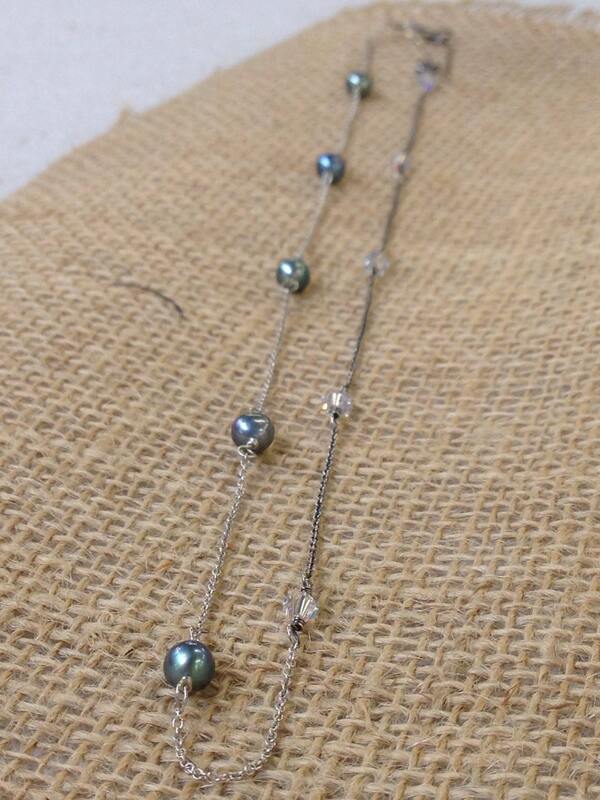 The total length of this necklace is a comfortable 21 inches, which will fall below the collar bone on most wearers.